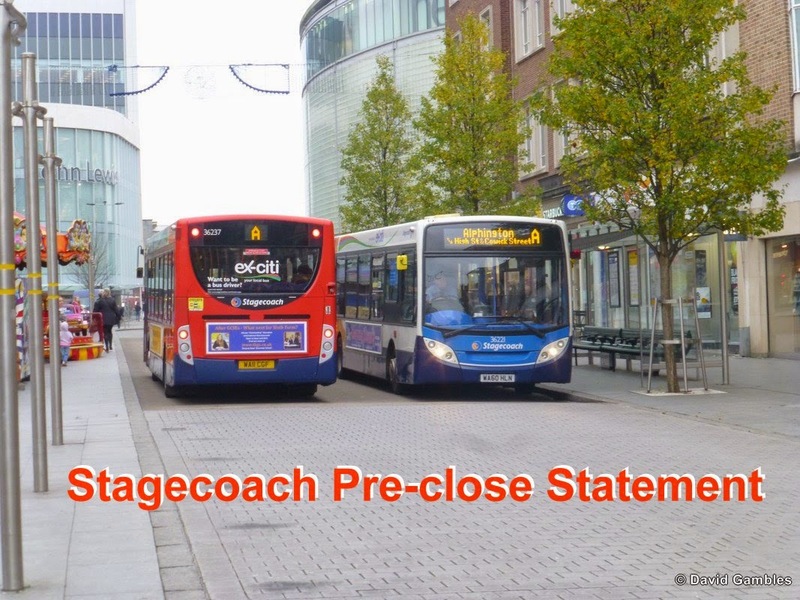 Stagecoach Group plc have provided an update on its trading ahead of a series of meetings with equity analysts. Recent trading has been consistent with expectations and there is no change to the adjusted earnings per share anticipated for the year ending 30 April 2015. The Regional UK Bus Division is trading in line with expectations with continued revenue growth. Modest growth has been seen in passenger journeys. The company are pleased that the forecast reduction in fuel costs has enabled fare increases for the year ahead to be kept to a minimum, consistent with long-term objectives to grow passenger volumes through value fares strategy and notwithstanding increases to staff and other costs. In mainland Europe, the company have recently commenced domestic megabus.com coach services within Germany and are now progressing plans for a new Cologne-Lyon-Barcelona service as well the first megabus.com services within Italy. These new services are in addition to existing international services connecting the UK, France, Spain, Germany, Belgium, Luxembourg and the Netherlands. Stagecoach have been encouraged by the progress of megabus.com in mainland Europe and remain excited about its future prospects. In the short-term, as they continue the expansion of this promising business, they would expect operating losses to increase from around £5m in 2014/15 to around £10m in 2015/16. 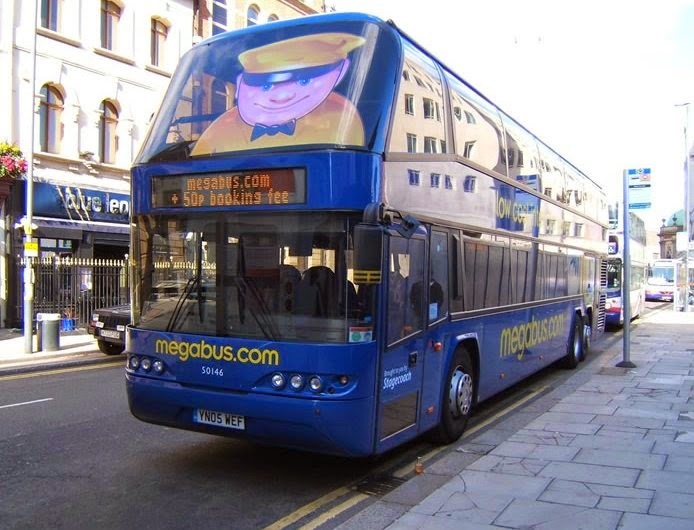 This is based on previous experience of megabus.com start-up operations, where they invested in expanding the business in the early years of megabus.com in each of the UK and North America, which are now strong, profitable businesses. 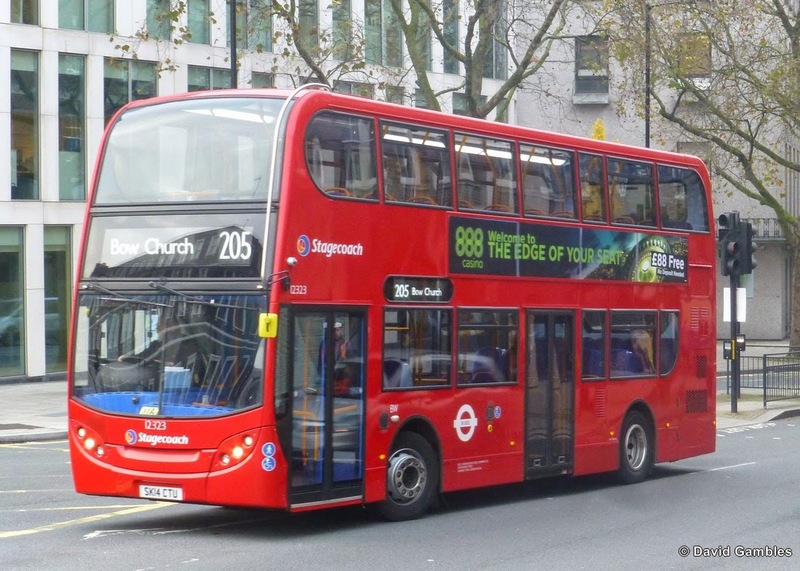 The UK Bus (London) Division continues to perform well. Revenue growth is consistent with expectations and reflects the profile of the contracts that the Division has with Transport for London. Like-for-like revenue growth in UK Rail remains strong. They began operating the new Virgin Trains East Coast rail franchise on 1 March 2015 and are pleased with its progress so far. The new franchise is expected to make a significant operating profit contribution in the year ending 30 April 2016, reflecting the programme of investment to grow the business by transforming the customer experience. There will also be additional finance costs (in respect of pensions and bonding arrangements) related to the franchise. The 1.0% like-for-like revenue growth for North America includes 8.1% for megabus.com, where the significant drop in fuel prices has resulted in a marked slowing of revenue growth. The company remain cautious on the short-term prospects for megabus.com revenue growth as the year-on-year fuel price drop persists. There are no plans for any significant expansion of the North America megabus.com operations in the coming months but will re-assess the further growth opportunities for the business in the second half of the year ending 30 April 2016. Virgin Rail Group is seeing a continuing strong performance from its West Coast rail franchise and that is set to benefit taxpayers through profit share payments by the business to the UK Department for Transport. Stagecoach are pleased that a settlement has now been agreed in principle with the US Department of Justice and the New York Attorney General's office in respect of the previously reported anti-trust litigation relating to the Group's joint venture, Twin America. The settlement envisages cash payments by the defendants of US$7.5m and the relinquishment of certain bus stop rights. They have previously recognised costs associated with the litigation as exceptional items and anticipate that the Group's share of the additional costs associated with this settlement will not exceed £3m and that these will be recorded as exceptional items in the second half of the year ending 30 April 2015. The settlement with the US Department of Justice and the New York Attorney General's office remains subject to court approval, following a public consultation and comment process. Stagecoach will continue to co-operate fully with the authorities in relation to any further matters related to the Twin America litigation. Twin America's management will now focus on seeking to re-build the business in the highly competitive New York tourism and sightseeing market.